A castle in the sand, ''turtle hall'' is a local oceanfront landmark. With 4 years in the planning and over 2. 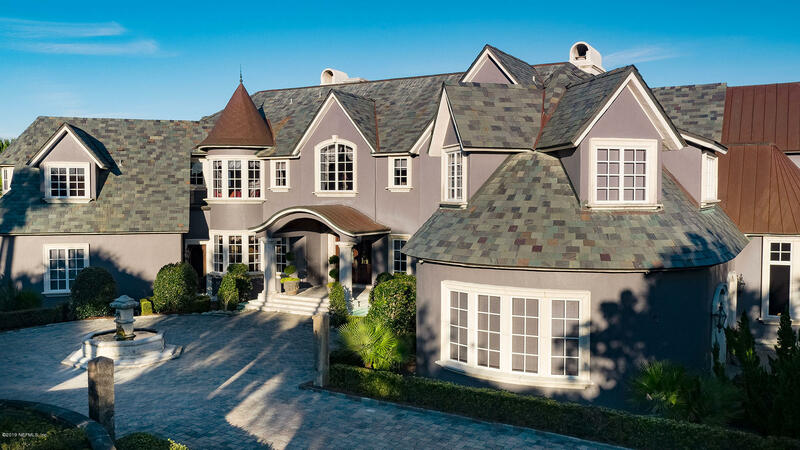 5 years to construct, this sprawling european estate is located on 1. 24 acres with elevations of 28' above sea level and 165' of ocean frontage. 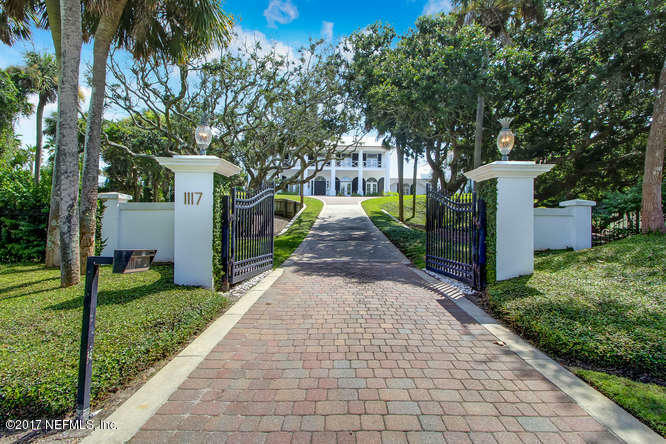 Enter a private gate to a portico, large parking pad and 4 car garages. Double thick belgium french doors, custom murals, antique and reclaimed materials collected from throughout the world and incorporated into the building. A wine cellar with walls of reclaimed bricks from a belgium school house. Construction is mostly concrete block. All turrets and trim are copper and 100 year slate roof. A 6' sports infinity pool and an elevated outdoor living area with cabana complete this estate. A truly lavish lifestyle awaits. 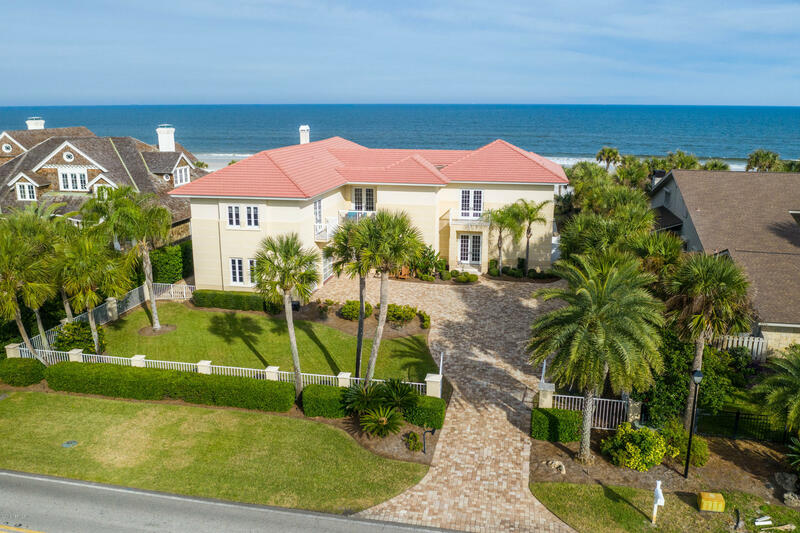 Over 6500 square feet in the most desirable stretch of oceanfront property in ne florida. 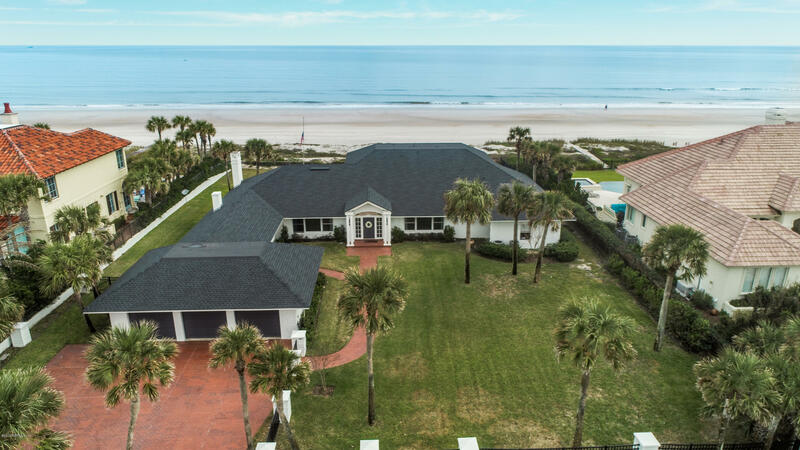 One of only 27 homes north of the 5 diamond ponte vedra inn & club, with arguably the very best views - a broad oceanfront expanse and panoramic views of the club's ocean course. This private contemporary estate was built with guests in mind. The primary living space and two large suites surrounded by a massive outdoor terrace are upstairs, capturing the best ocean views. And downstairs is appointed with 3 guest suites that open to the lovely pool/spa, as well as a separate living space and kitchen. Elevator for easy access. Dana kenyon built the concrete block home in 2006, and well-respected ted pappas was the architect. The home interior was inspired by modern architects like frank lloyd. 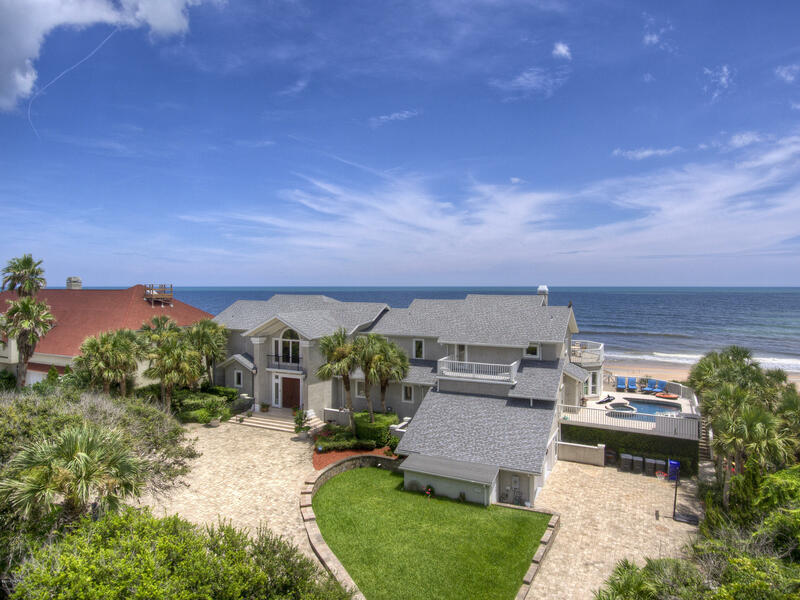 A true multi-generational ocean front home, a rare find w/9 bedrooms, 8. 5 bathrooms in 9081 square feet. 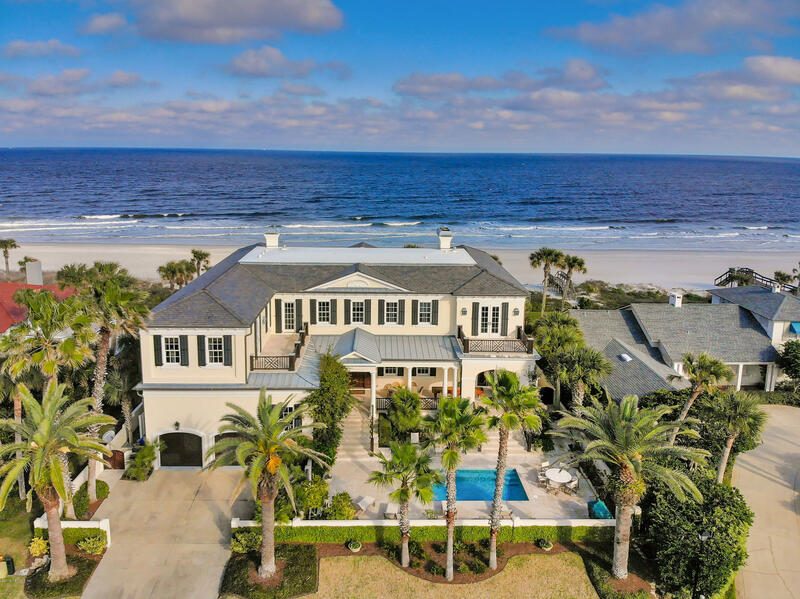 With an elevation of 23 ft & 150 front feet on the ocean the home offers amazing views and privacy (1. 44 acres). Two full kitchens, two family rooms, two laundry rooms & two masters offering privacy & function for two families or plenty of space for the entire family to come & visit. Watch the sunrise from one of three balconies. A private walkway from the home leads to your covered gazebo. Enjoy a dip in the sparkling pool after a day at the beach. Currently the home has a gym and an office that could be converted to another bedroom if needed. Home offers a gated entrance and plenty of parking. Floor plans located under documents. Be sure to watch the drone video under photo tab. 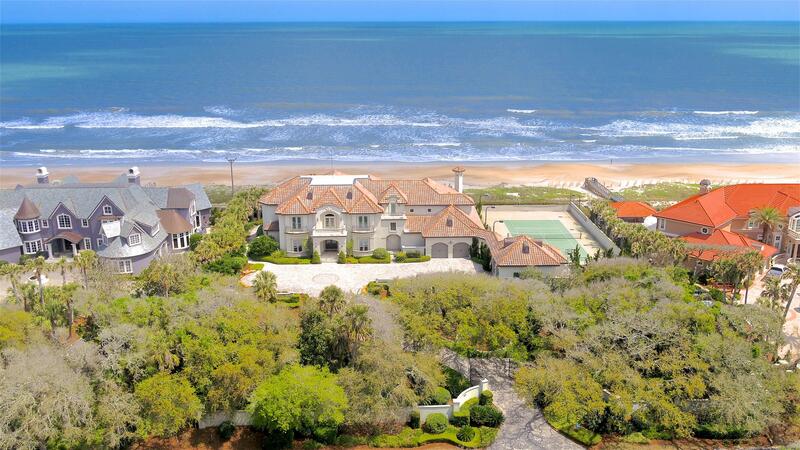 Sophisticated coastal living at its best! This gated coastal plantation style home off ponte vedra blvd captures the best of our ne florida lifestyle and may be eligible for plantation beach club membership!guests will be greeted by the epitome of southern charm as they drive through the private wrought iron gate up your paver driveway to the magnificent entrance of this one of a kind plantation style home. 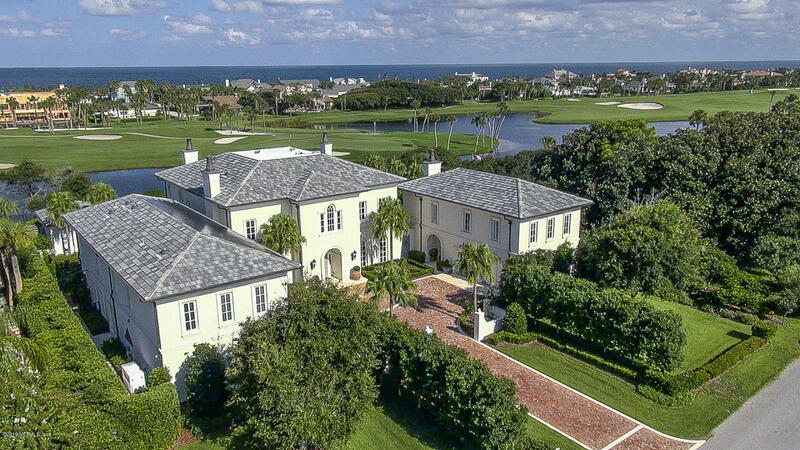 This home features over 8,400 sq. Ft. That showcase the stunning ne florida coastline with spectacular ocean views from virtually every room. Palladian windows provide an abundance of natural light.